Does my pet need vaccinating? Our pets rely on us, for healthy and content lives. Therefore we are responsible for their well-being and the upkeep of their vaccinations, against fatal diseases. Your pet is most at risk when it hasn’t had any vaccinations, when they are young, elderly and socialising. Dogs, cats and rabbits all firstly require primary vaccinations, these are to protect them when they are young and most vulnerable. Make sure you get them vaccinated as early as possible. This protection allows your pet to safely make new friends and explore the world around them. When do I need to get my pet vaccinated? Dogs and cats require two primary vaccinations; First at eight to nine weeks old or older. This is followed by another vaccination, three to four weeks later. After these vital vaccinations, your pet will only require a ‘booster’ once a year. Vaccinating your pet is essential as it protects them against serious and life threatening diseases. Rabbits only require one primary vaccination which can be done from five weeks old, after that they have yearly boosters. 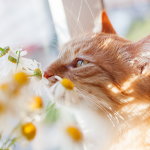 What vaccination does my cat need? What vaccination does my dog need? Kennel Cough* comes as a separate injection, also available at The Vet. What vaccination does my rabbit need? What is included in the booster vaccination? Your pets annual vaccination not only keeps them fit and healthy but when visiting The Vet to get your pet vaccinated, we will complete a full health check in the cost. So the annual booster vaccinations are always useful to get your pet’s general well-being checked over to make sure that your pet is in good health and protected against life threatening diseases. 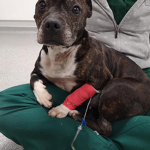 The team at The Vet will do our best to remind you when booster vaccinations are due so that your pet stays healthy and happy, but please don’t forget but please keep your details up to date so that we can contact you. The Vet offers a Vaccination for Life which is a one off payment that covers your pet’s annual booster injections for the rest of their life, so you’re covered and your pet is protected. The package only cost £79.99 and includes all their boosters, for life. If you are interested in this, ask the team on your next visit.